With the constantly increasing of modern people’s awareness of privacy protection, data/file encryption has become an indispensable part of our lives. Especially for some large companies and high-ranking workers in the office, looking for a good and practical file encryption software for computer is not so easy because the file encryption software market is flooded with innumerable similar encryption products from which you can hardly determine which to use. Moreover, for the safety of vital files, they usually require a higher level of security for encryption, and the required file encryption software is mainly for business, not the general personal using. But don’t worry for we have sorted out the top 5 best file encryption software for you in this article, which can save your time and energy of finding out the most suitable file encryption software for Windows and Mac computer. The following is a general introduction and review on these 5 free file encryption software. Gihosoft File Encryption is one of the best file encryption software for PC. 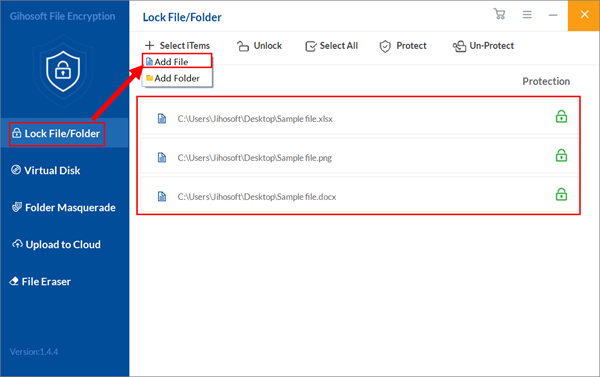 With which you can lock files and folder, create virtual disk to password protect files, make dummy files to confuse others, upload files to cloud. 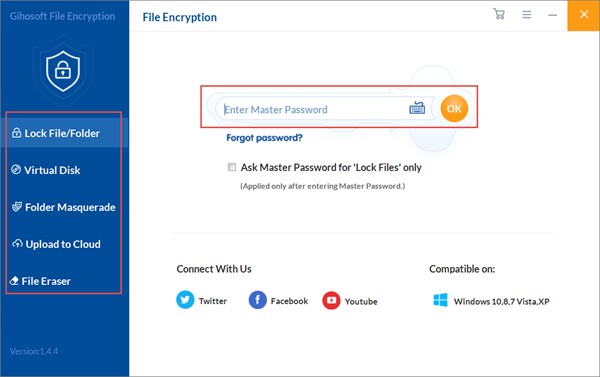 As a practical file encryption software for Windows, it mainly adopts the password to protect your vital or sensitive data/files, so only those who know the correct master password can open this program to access relevant data/files. With a clean and intuitive graphic user interface, this program can let you conveniently find the function you need exactly, making it easy for you to get started! It both supports folder encryption and multiple file type encryption, such as the Excel file, picture file, Word file, etc. Besides, you can also create a virtual disk in which you can put files/folders to achieve file/folder encryption as well. It’s worth mentioning that you can download this file encryption software to try before purchase. VeraCrypt is another practical file encryption software which is free for users to download on Windows, OS X, and Linux. VeraCrypt is the branch and successor of TrueCrypt. It usually uses AES to encrypt files, in addition to TwoFish and Serpent. Apart from the encryption for individual folders of files, VeraCrypt can also create a virtual encrypted disk in a file, or use a pre-boot authentication to encrypt the partition or (in Windows) the entire storage device. Those who love VeraCrypt praise it as an instant encryption tool because your files are only decrypted when needed and are encrypted at all other time. At the same time, many people say that even if it lacks a good-looking interface, it is still a powerful tool that is easy to use. 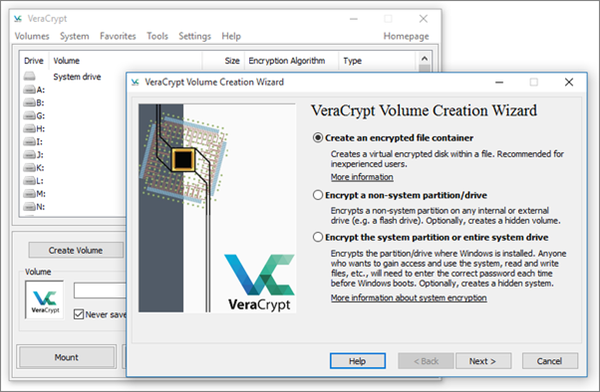 You also noticed that VeraCrypt may not support TrueCrypt files and containers, but can convert them to its own format. Its development team is constantly working hard to improve the user experience, making it more functional. 7-Zip is a free file archiving program that is used to place files in a compressed container called “archive”. But in addition to that, it is still a good file encryption software for computer. It is mainly compatible with Windows, OS X, and Linux systems. It is worth noting that the official download of this file encryption software only supports Windows systems, but there are also unofficial versions supporting Linux and OS X systems. 7-Zip can convert a single file or an entire volume into an encrypted volume that only has the key you own. This program is completely free, even for commercial use, and it also supports 256-bit AES encryption. In addition to the security key, the single file can also be encrypted with a password and converted to an executable file that will be self-decrypted when it reaches the intended recipient. 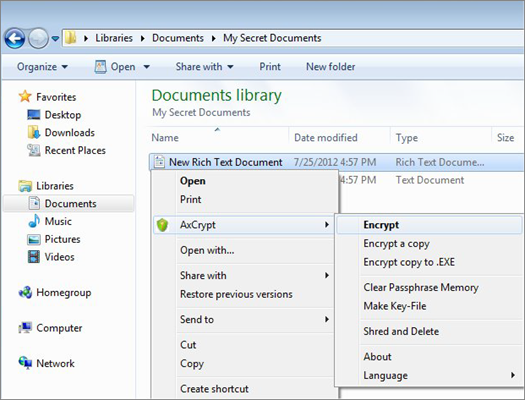 AxCrypt is also an excellent free file encryption software for Windows 10/8/7 we strongly recommend for you. As a free, open source, and GNU GPL licensed encryption software, it is proud of its simplicity, efficiency, and ease of use. It integrates well with the Windows shell, so you can right-click on the file to encrypt it. The best part is that it provides “timed” executable encryption to automatically decrypt the file after a certain period of time, or to automatically decrypt it when its intended recipient receives it. Files encrypted with AxCrypt can be decrypted as needed or kept decrypted while in use and then automatically re-encrypted when modified or closed. AxCrypt runs very fast, although you can choose to encrypt the entire folder or a large set of files. As we all know, BitLocker is a complete volume encryption tool which is built into Windows systems, and it supports all Windows versions starting with Windows Vista. In other words, it achieves data protection primarily by providing encryption for the entire volume. By default, it uses the AES encryption algorithm in the Cipher Block Chaining (CBC) or the XTS mode with a 128-bit or 256-bit key. It provides users with a variety of authentication mechanisms, and the common ones of them are the traditional password and USB “key”. In addition to these two mechanisms, the controversial Trusted Platform Module (TPM) technology (using hardware to integrate keys into devices) is also used. Either way, the integration of BitLocker with Windows (especially Windows 8 Pro) makes BitLocker accessible to many people. 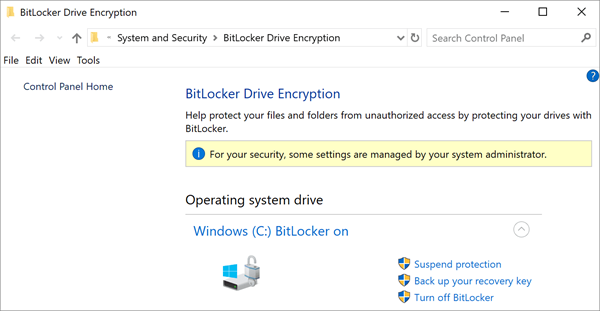 At the same time, BitLocker is a viable disk encryption tool, especially for individual users who need to protect data when a laptop or hard drive is lost or stolen, in case their data is maliciously compromised. Those listed above are the top 5 best file encryption software that we have carefully selected for you from a wide range of similar products. We hope that you will consider them practical, and you can share these 5 best free file encryption software with your friends and family members who may be in need now. If you need help, you can leave your message in our comment section below!